MISSOULA IS AT THE CENTER of it all in Montana. Five valleys and three rivers converge in this historic trading spot. Every possible outdoor mountain pursuit and more — even surfing — is right on its doorstep, and there are tons of live music and food options in this buzzing city that feels more in kin with West Coast hubs like Portland than the Wild West. Here are 13 incredible experiences you can only have, and which you definitely should have, here. The Wilma was built in 1921 as a vaudeville house and today hosts some of the biggest names in the music industry as they tour through the West. When not booked by superstars, it’s Missoula’s go-to venue for local productions like the Big Sky Documentary Film Festival and showings of Warren Miller films. Located next to Caras Park and the Clark Fork River, and surrounded by restaurants and bars, your whole night’s adventures are within a short walk of each other. Montana doesn’t have a professional sports team, but it does have the University of Montana Grizzlies. If there were a pro team in town, they still wouldn’t have near the fan base the Griz do. Even in below-zero weather, the 25,000-seat stadium is almost always at max capacity. That number might sound small, but the stadium holds almost 3% of Montana’s entire population. And during games, maroon- and silver-clad fans spill out into the adjacent practice fields to cheer the team on. Don’t be surprised if you see someone walking down the streets of Missoula with a surfboard — they’re probably headed to Brennan’s Wave. 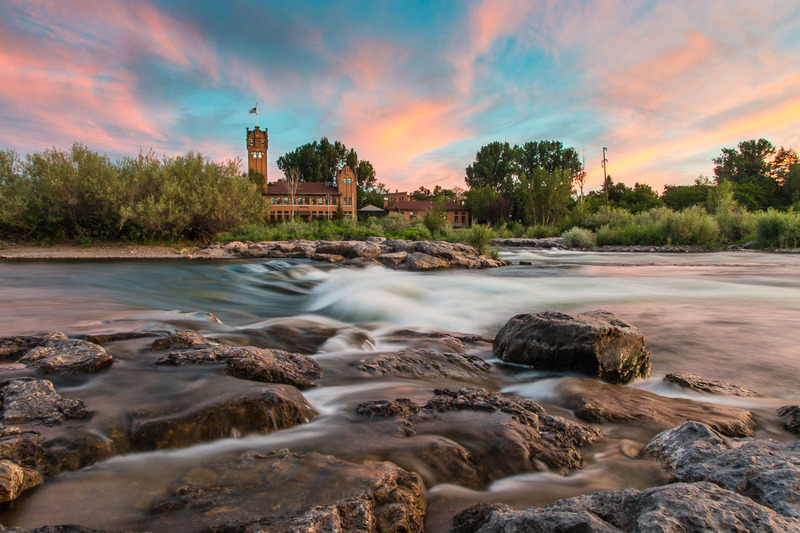 Situated where the Clark Fork River flows through downtown, the wave is popular with kayakers and surfers. It’s usually ice free in the winter, so some kayakers will brave the frigid water to hit the wave year-round. There’s also an observation deck if you’re not into getting wet. The deck — and the wave — border Caras Park, where there’s often live music and food vendors in the summertime. Four miles from the center of Missoula is the Rattlesnake NRA. 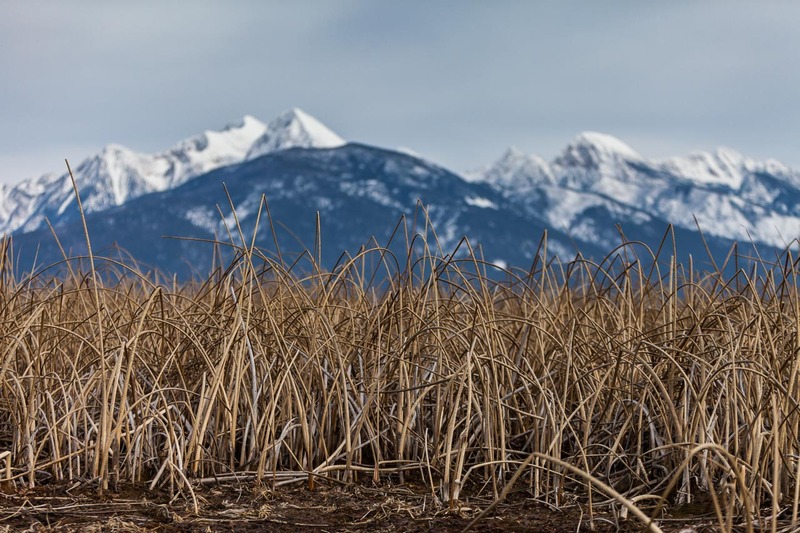 The area holds hiking and biking trails, the Rattlesnake Creek is full of cutthroat trout in the summer, and there are plenty of cross-country ski trails in the winter. This corridor, sandwiched between forest service and private land, leads the way to the Rattlesnake Wilderness Area — one of the four wilderness areas in close proximity to Missoula (see below). Deer, bighorn sheep, and black bears are all often spotted along the 75 miles of trails here. According to the Wilderness Act of 1964, “A wilderness, in contrast with those areas where man and his own works dominate the landscape, is hereby recognized as an area where the earth and its community of life are untrammeled by man, where man himself is a visitor who does not remain.” There are nine such wilderness areas within 150 miles of Missoula, and they equate to 2.2 million acres of untouched Montana beauty. Four of them are within 50 miles of the city, the closest being the Rattlesnake Wilderness just four miles away. The largest, at almost 1.1 million acres, is the Bob Marshall Wilderness, 75 miles away. In “the Bob,” you’ll find waterfalls, lakes, and dense forest unbroken by roads. In the Missoula-based book and movie A River Runs Through It, author Norman Maclean said, “The world is full of bastards, the number increasing rapidly the further one gets from Missoula, Montana.” That’s why we’re here. The great people and endless nature at your doorstep makes every minute you spend in this city worth two anywhere else. Ask almost anyone in Missoula why they’ve chosen to make it their home and they’ll tell you: quality of life, plain and simple. Montanans know how to make good beer, and Missoula is the place to try it. Of the 23 breweries in Western Montana, nine of them are in Missoula. 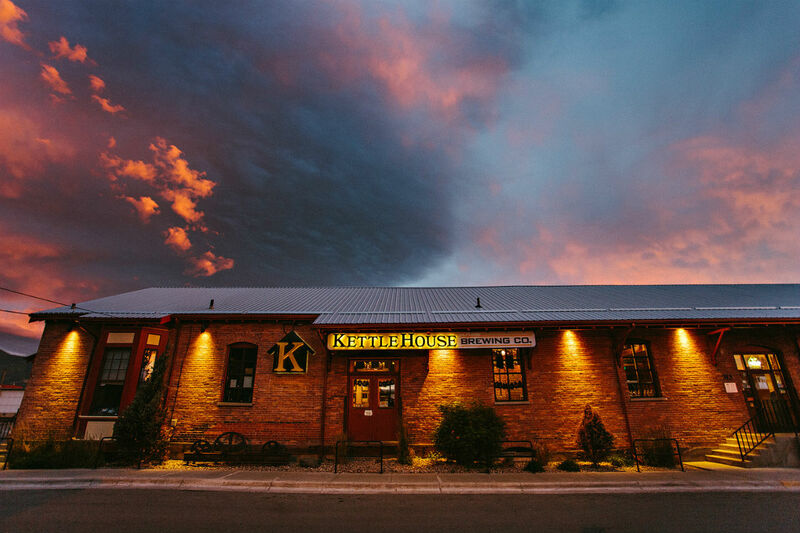 KettleHouse Brewing is the cornerstone of Missoula’s craft beer scene; there are northside and southside locations for pints and growler fills, with northside hosting a weekly pint night to raise money for local nonprofits like the Missoula Avalanche Center and the Missoula Downtown Association. Local and nationally touring exhibitions can be found at the Missoula Art Museum (MAM), a world-class art space where admission is always free. 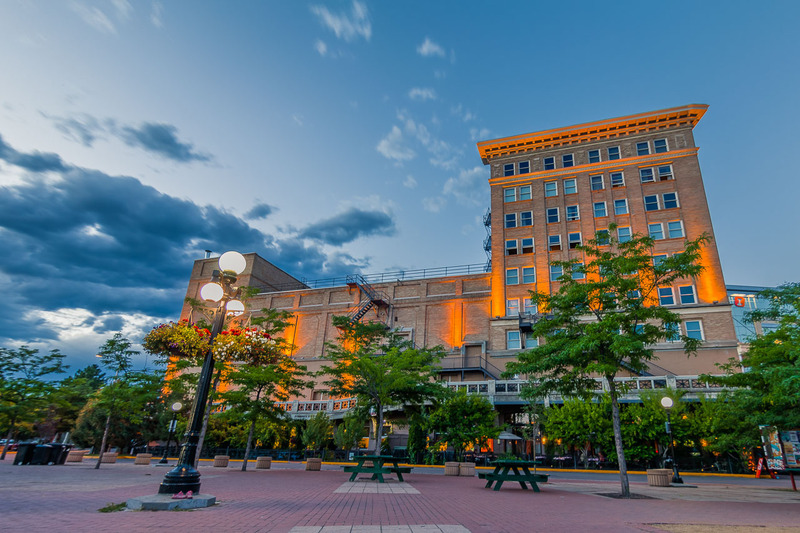 When you’re planning your trip to Missoula, keep in mind that MAM and many downtown galleries stay open late on the first Friday of each month for the First Friday Gallery Night, where artists have the chance to show photography, paintings, and sculptures and put on performances. 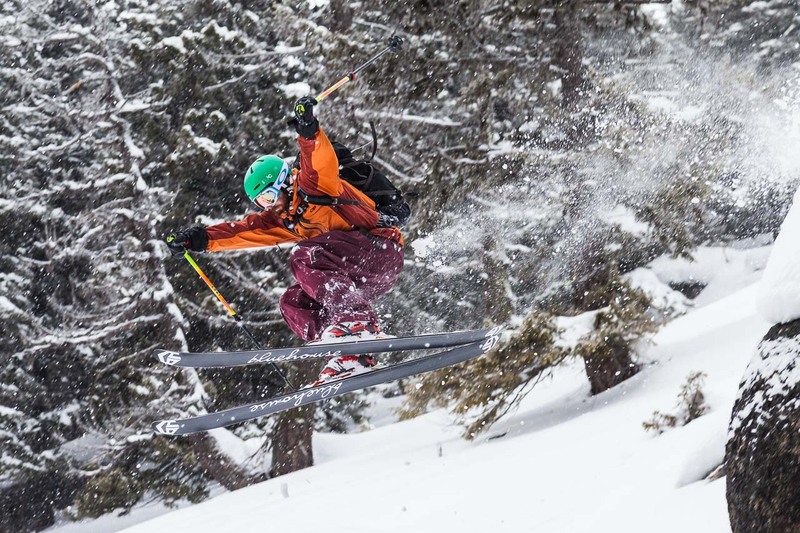 With so many ski areas across the country being bought up by mega-resort companies, it’s getting increasingly difficult to find a true local skiing experience. Missoula’s Montana Snowbowl is where you can still get that local feel. Two double lifts service the 2,600 vertical feet of terrain, and at the bottom, the famous Bloody Marys (voted Missoula’s best) are served at the Last Run Inn, where you can rent the entire hotel for the price of a room at a mega resort. On Thursday nights, the lights are turned on at the Sunrise Bowl ski run for Telemark races. Mount Sentinel’s grassy summit rises 2,000 feet above the Missoula Valley; it’s a fitness challenge, a paragliding launch site, and a beacon over the town. 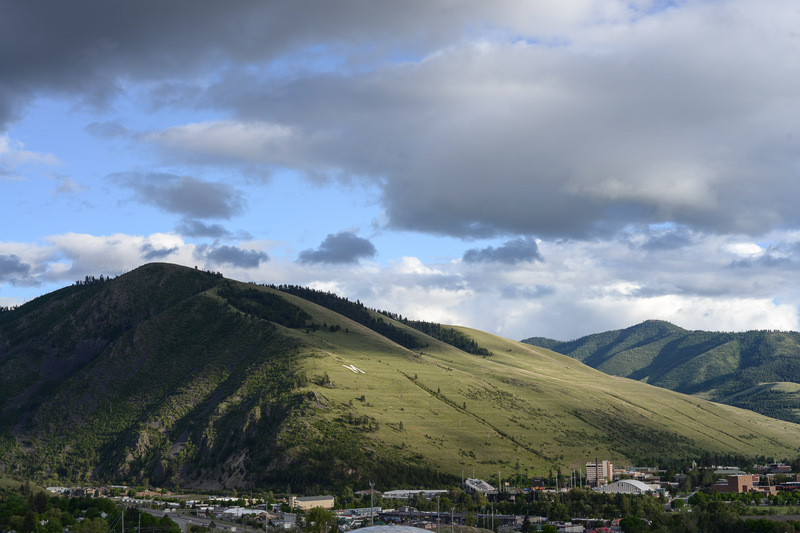 A giant white concrete M, for the University of Montana, sits 600 feet upslope from campus. While nearly impossible to see in the snowy winter months, the M brightly contrasts with the green of spring and early summer. Whenever you spot it, there’s no mistaking where you are. 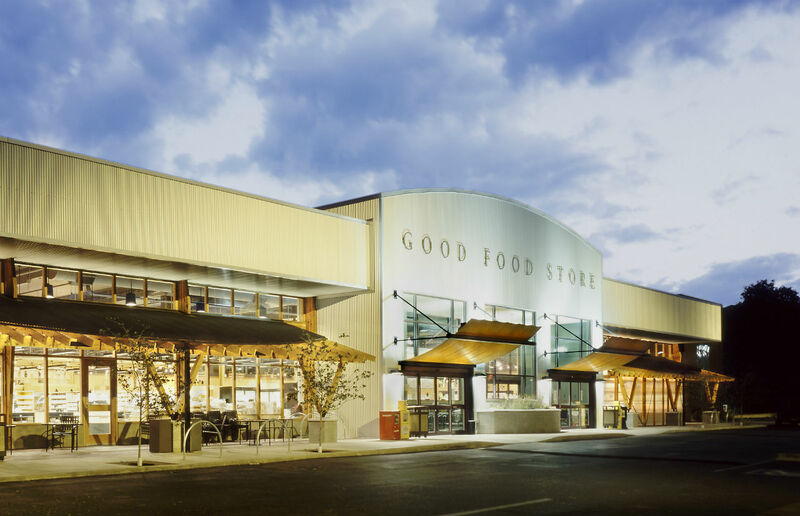 Before all the other “hip” and progressive cities got a Whole Foods, Missoula had (and still has) the Good Food Store. Here you can find everything from locally roasted coffee to local organic meat to kitchen goods and homeware in the newly opened NEST department. Inside the store there’s also a coffeeshop, salad bar, and hot buffet — all justifiably busy at lunchtime. A river really does run through Missoula. From the sidewalks that border the Clark Fork River you have access to fishing, paddleboarding, surfing, and kayaking; you can also hop in an inner tube and float right through town. And the lighted riverfront trails mean you can hike, bike, or run any time of the day. Start your day with personally sourced and locally roasted coffee from the Black Coffee Roasting Company, then hike the ¾-mile trail to the M on Mount Sentinel and watch the rising sun illuminate the valley. As the day warms, throw your surfboard or kayak on your bike trailer and head down the riverfront trail to Brennan’s Wave for a surf session. Bookend your afternoon with a fish burrito from Taco del Sol or El Diablo, and a pint of Cold Smoke Scotch Ale or Double Haul IPA from KettleHouse Brewing. Follow that up with an ice cream cone from the Big Dipper ice cream stand (try the green tea flavor) as the last of the sun’s light hits Mount Sentinel. And as you walk to a show at the Wilma, contemplate how you’re going to do it all again tomorrow.